The Scandinavian countries have high national development goals for wind power, and the spatial potential is big. However, cold climate has shown to cause several problems in regions of the north and at high elevations. The major problems occur when turbine blades are iced-up. 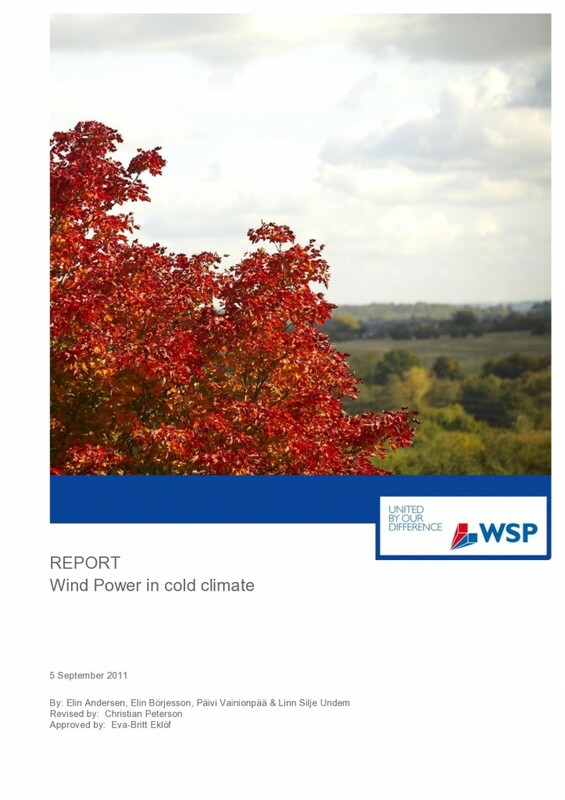 The present report outlines the main aspects and problems of icing.